Retinal Detachment | Nashville Injury Lawyers The Law Offices of John Day, P.C. 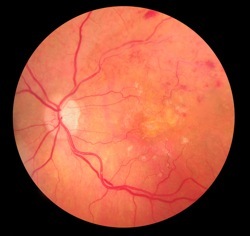 Trauma from a car accident or other impact can cause retinal detachment, which is a condition where the retina pulls away from the attached blood vessels. Since the blood vessels provide oxygen and nutrients to the eye, the condition can cause permanent vision loss if left untreated. Classic signs of retinal detachment include a shadow or curtain in the field of vision, the sudden appearance of floaters in the field of vision, and sudden flashes of light in one or both eyes. If you have sustained a retinal detachment injury, surgery can often repair the condition. However, even with surgery, normal vision may not be restored. The outcome is dependent upon the level of detachment and how long the detachment remained untreated. Even with a successful surgery, it can take months for normal vision to be restored. The physical, emotional and financial impact of lost or diminished vision cannot be overstated. The injury can affect so many aspects of daily life: the ability to drive, to go to work, to read a book and so much more. The medical bills associated with caring for the injury can be substantial and, when you are out of work due to your injury, your financial situation can become perilous quickly. Emotionally, it can be difficult coping with the lost or diminished eyesight and the loss of independence associated with it. If you have suffered a retinal detachment or other eye injury due to the carelessness of someone else, one of our eye injury attorneys can help you recover money for your pain and suffering, lost wages, medical bills, future medical care, etc. We have more than 80 years experience in fighting for the rights of injured people. We understand your situation and we have one goal: to get you the maximum recovery reasonably possible in the shortest time reasonably possible. We handle all eye injury cases on a contingency basis so we do not get paid unless we get money for you. We advance all case expenses so you do not pay anything out of pocket to pursue your retinal detachment case. For more details on our fees and how we handle case expenses, click here. Most importantly, we know how to get results -- we have recovered more than $100 million for our satisfied clients. If you would like to discuss a potential retinal detachment claim, please contact us online or call us at 615-742-4880 or 866.812.8787 for a free, no-obligation consultation. But do not delay, the law limits the amount of time you have to seek compensation for your retinal detachment case.